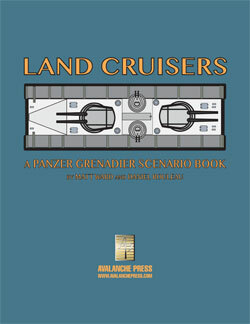 Panzer Grenadier: Land Cruisers is focused on, of course, the Land Cruisers: gigantic, lumbering fighting machines armed with cruiser-sized guns and smashing everything before them. 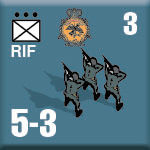 But the book, a supplement for Elsenborn Ridge and 1940: The Fall of France, also introduces a new army to Panzer Grenadier, that of Imperial Germany. It’s an army that never existed. I suppose I could have added the Land Cruisers to an army that actually fought in World War II, but since I’d already crafted a dieselpunk alternative-history story arc for our Second Great War at Sea naval series I decided to add the Land Cruisers to that twisted reality. Imperial Germany, in the Second Great War setting, is a prosperous constitutional monarchy under a social democratic government. The social safety net casts wide, providing health care, university education, urban and inter-city transportation and guaranteed retirement pensions. That massive governmental structure requires a wider tax base than the Empire had before the Great War, which also provides generous funding for the German military. Universal voting rights have replaced the old three-tier system, and universal conscription now drafts urban workers at the same rate as the once-preferred farm boys. But all of that social liberalism has been matched by military conservatism. The First Great War ended in the final days of 1916 in a negotiated peace brokered by U.S. President Woodrow Wilson, but the Imperial Army’s take is that it won the war on the battlefield. Incremental improvements in the Army’s fighting power are welcomed; radical revisions, not so much. Even the Land Cruisers, a huge technological advance, have a very conservative doctrine for their use. Continuing the pre-1914 arrangements, the Kingdom of Bavaria fields its own separate army with its own traditions, flags and uniforms but shared doctrine, training and equipment. Württemburg and Saxony are more closely tied to the Imperial standard, with only some variations in unit designations and uniforms. 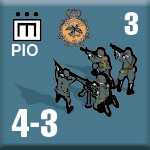 Panzer Grenadier: Land Cruisers also includes the other parts of the Imperial Army: infantry, cavalry, artillery and support weapons. Let’s take a look at them. The backbone of the Imperial Army is its infantry. The troops still carry the bolt-action Mauser 7.92mm rifle their fathers took to the trenches of the First Great War, but the lessons of that war have brought them lightweight machine guns and 20mm anti-tank rifles. Following the concepts introduced in the very last days of the Great War, the infantry platoons are structured and trained for independent action, and junior officers are rewarded for showing initiative. German infantry is very good, trained to mount an active defense built around prompt counter-attacks. Each rifle battalion includes a full company of a dozen machine guns, usually the tried-and-true Model 08, a byword for boring, unexceptional technology. A lighter model, the 08/15, serves as the squad automatic weapon in the infantry platoons alongside the Dreyse Model 13. 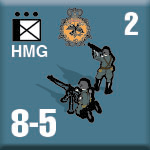 Each infantry division has an additional machine-gun battalion that can be parceled out to the battalions and or held as a whole to reinforce some key position. The lessons of the Great War have also extended to the engineering branch, reinforcing the importance of combat engineers to sustain an attack in the face of enemy fortifications. Each division has two battalions of pioneers, with the companies of one of them usually distributed among the infantry regiments. The Imperial Army still maintains horsed cavalry regiments, mostly out of its sense of tradition and vague statements about how they had been valuable on the Eastern Front during the Great War. Germany’s Central Powers allies also field horsed cavalry, but have equipped their horsemen with a heavy allotment of automatic weapons to make up for the inevitable lesser numbers of a unit that must maintain both men and their mounts. 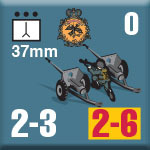 The Imperial Army’s General Staff prides itself on its forward thinking, having obtained large numbers of 37mm anti-tank guns to repel the armored vehicles known to form the backbone of French tactical doctrine. The guns are relatively lightweight and easy to move, and are valued for their ability to lend canister fire to the infantry. Reports indicate that the newest French tanks are proof against the shells of the standard anti-tank gun, but the Imperial Army has been slow to adopt the 47mm gun now entering Austrian and Polish service. While the Imperial Army remains ignorant of Russian developments in fast, heavily-armored tanks, they are aware of Russian emphasis on helicopter assault and have provided the front-line forces with 20mm anti-aircraft guns specifically intended to counter this threat. They are very effective against enemy helicopters, but can do little to stop the Russians from landing their air assault troops in places where there are no nearby Germans. Trench mortars proved of great value in the Great War, and the Imperial Army’s 70mm mortars are an improved version of the 75.8mm Rheinmetall weapon first deployed in 1909. 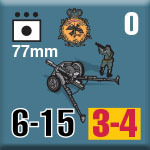 They lack the range and firepower of the bigger 81mm mortars deployed by their French and Russian enemies, and for that matter by their Austrian and Polish allies. 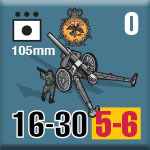 The standard German field gun remains the 77mm FK16, introduced during the last year of the Great War. At the time it represented a good mix of firepower and mobility, though even then it remained inferior to the Russian 76.2mm field gun and only slighter more effective than the French 75mm gun, a weapon nearly two decades older. However, with thousands of nearly-new guns produced in 1916 and the years just after the Great War, the Reichstag remained reluctant to replace them until just before the start of the Second Great War. 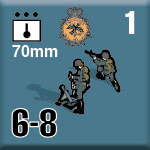 The new 88mm piece is coming into service, but most divisions retain the 77mm weapon in their light artillery battalions. Medium artillery battalions have the very good 105mm leFH16 howitzer; an improved version, the leFH18, is in development. 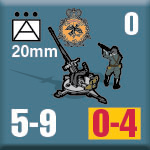 While these are fine weapons, French divisions have 105mm guns in their light artillery battalions, and the Russians have adopted the 107mm gun for the same role and assigned their field guns directly to the infantry regiments. Despite their good equipment, German artillery will find itself out-gunned in the opening campaigns of the Second Great War. As much as I enjoyed creating an army that never existed, I don’t think we’ll try this again with so many actual armies still to be introduced to Panzer Grenadier. Not unless we come up with something as weird and fun as the Land Cruisers.